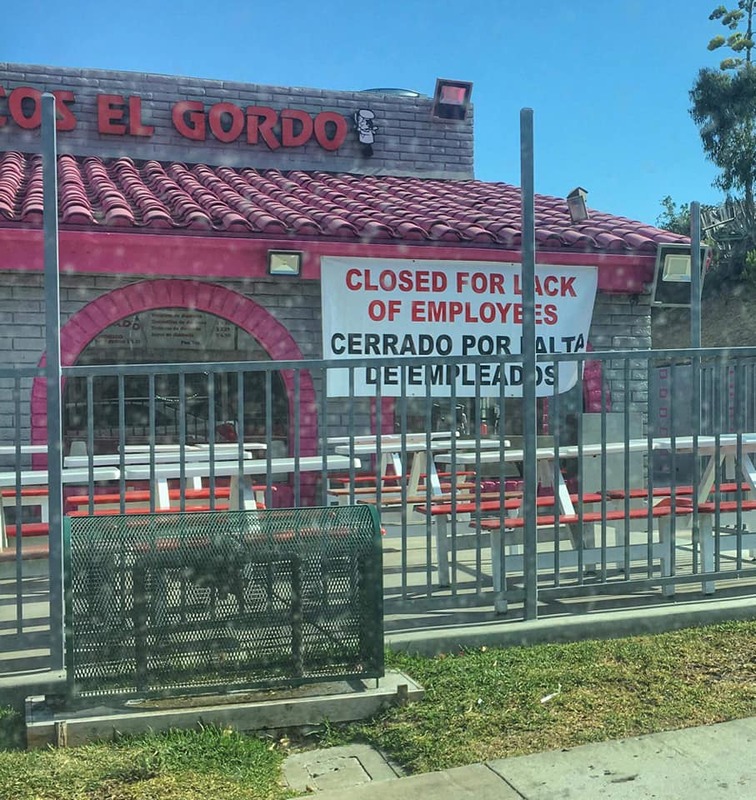 San Diego's popular chain of taco eateries, Tacos El Gordo was forced to shut down one of its locations today due to a lack of staff. A printed sign hung on the outside of the Palm Street branch in San Diego's Otay Mesa neighborhood stating that the eatery did not have enough employees to stay open. A large, professionally printed sign on the exterior of the building at 3265 Palm Avenue in Otay Mesa reads, "CLOSED FOR LACK OF EMPLOYEES." Many are speculating whether the closure has something to do with the immigration raids taking place under the current federal government administration. Other Tacos El Gordo locations will reportedly stay open. There is no word yet on whether the Otay Mesa outpost will reopen any time soon. Being that the Tacos El Gordo on H Street in Chula Vista is currently undergoing renovations, the only outpost currently open in San Diego is located on Broadway in Chula Vista. Tacos El Gordo, which first launched in Tijuana in 1972, is a fast-casual taco shop chain that specializes in authentic Tijuana street tacos constructed with handmade corn tortillas, top grade meats and guacamole and salsas made from scratch daily. Tacos El Gordo was named as one of Yelp's Top 100 Places To Eat in the United States in 2016 (#17), 2015 (#29), and 2014 (#15). The company recently opened a new San Diego location on Broadway in Chula Vista, while at the same time shuttering its H Street location for maintenance, hoping to get it reopened in the next couple months. Tacos El Gordo also currently has three locations in Tijuana with another three in Las Vegas, NV. We announced in May 2016 that the company had taken over the Gaslamp space formerly occupied by Starbuck's at 511 F Street with an anticipated mid-2017 opening that has been significantly delayed. The Gaslamp spot is still being constructed within the historic William Penn Building and will span 2,200 square-feet with a 900 square-foot mezzanine. 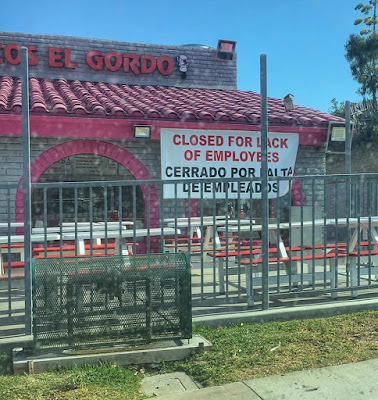 It appears that the Tacos El Gordo Gaslamp branch is stalled, as the last report we received is that it would open by this summer, but progress remains halted.